I love having leftover turkey after Thanksgiving. In fact, I have been known to buy a second turkey after Thanksgiving, just so we could have more yummy turkey dishes. Crazy, right? Crazy and delicious! 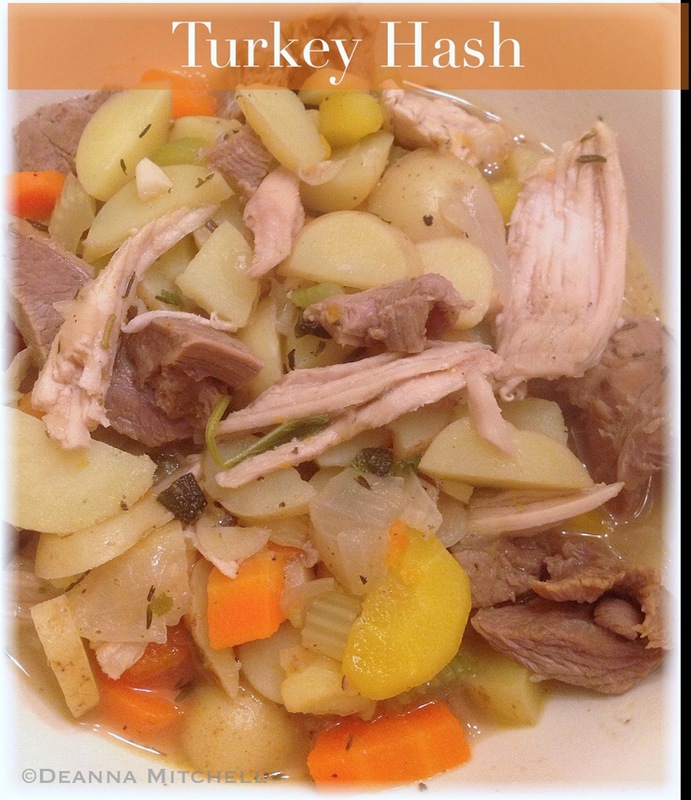 This dish is a family favorite–we all look forward to decorating for Christmas and enjoying a hearty bowl of this simple combination of turkey, herbs, stock and vegetables. In fact, this recipe uses up a lot of those leftover bits of vegetables and herbs that seem to linger in the refrigerator after Thanksgiving. Efficient, delicious, hearty and healthy–what could be better? In a large skillet, heat the olive oil over medium heat. When oil is hot, add the chopped onion. Cook for 3-4 minutes or until the onions are soft. Add the minced garlic and saute for 1 minute. Add the carrots and celery and cook for 2-3 minutes. Add all remaining ingredients except rice, stir well, reduce heat to low and simmer uncovered for about 45 minutes. Vegetables should be very tender and stock should have reduced by half. Check seasonings and correct if needed. Serve immediately in bowls as is or over cooked rice.